In an article entitled “Hackers in China Attacked The Times for Last 4 Months,” (NYT, 1/30/13), Nicole Perlroth describes a new universe which reads like a bestselling computer game. “Based on a forensic analysis going back months,” Perlroth writes, “it appears the hackers broke into The Times computers on September 13 when the reporting for the Wen articles was nearing completion. They set up at least three back doors into users’ machines that they used as a digital base camp. From there they snooped around The Times’s systems for a least two weeks before they identified the domain controller that contains user names and hashed, or scrambled, passwords for every Times employee.” One mustn’t make light of a situation in which the attacks occurred as reprisals for memorable and exhaustive reporting on October 25th “that found that the relatives of Wen Jiabao, China’s prime minister, had accumulated a fortune worth several billion dollars through business dealings." 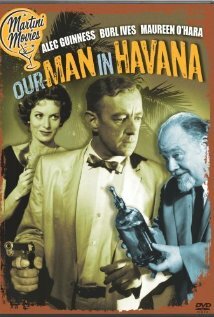 However, the description does recall a 21st century version of the harum scarum that went on in Graham Greene’s Our Man In Havana. In the novel, (the movie version starred Alec Guinness), vacuum cleaner parts are used as the MacGuffin, drawings of which are meant to outline an enemy base. Here Perlroth’s description of a cyber attack reads like an actual war, though no lives are lost. The fact of America being vulnerable to a cyber attack is no small matter. On the other hand, what would you prefer, nuclear Armageddon with the loss of millions of lives, or the loss of trillions of bytes of data and millions of passwords?